ConvergeHub CRM gives your team the tools you need to close more sales. Typeform creates Forms to collect information from customers. 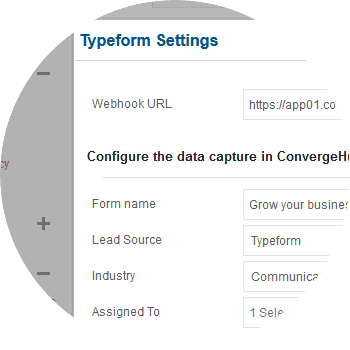 With this integration, you can automatically send the information from your Typeform entries to create leads in ConvergeHub. Create quick Forms, embed into web pages, run surveys, and analyze results. The contact information collected from your Typeform entries will automatically be added to ConvergeHub. 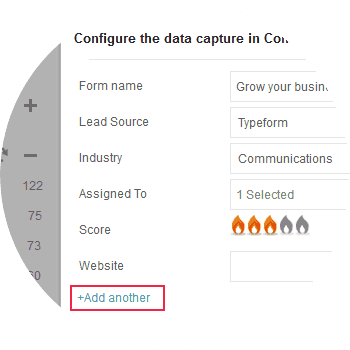 Associate lead source and industry with the Data capture Form of Typeform for better management of the captured lead. In reference to the lead source and industry, the user can set a particular sales process accordingly. 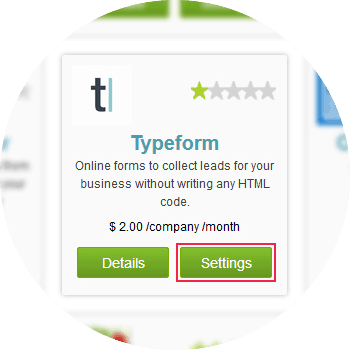 For seamless integration with Typeform click on the Settings button, this will open up a pop-up. If you have a pop-up blocker in your web browser, then allow the pop-ups from ConvergeHub. 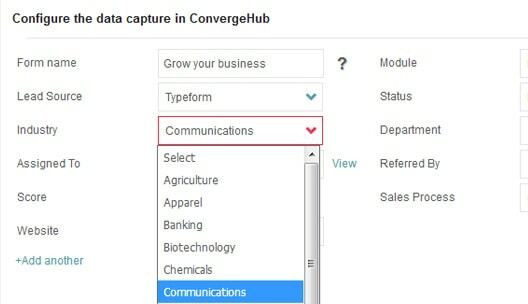 In the pop-up window, copy the Webhook URL to the Data Capture Form in Typeform and then configure the Data capture Form by mapping the ‘Fields’ of Typeform with ConvergeHub. 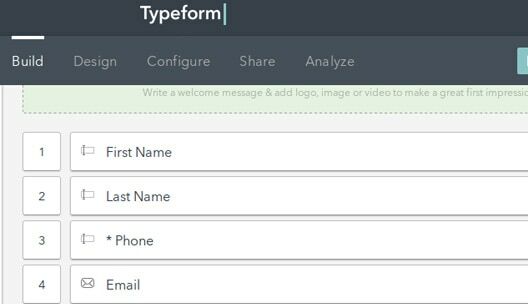 Next, in ConvergeHub-Typeform app settings input the Form name, Assigned To, Lead Source and Industry within the pop-up, then click on “Save”. For adding more Contact Form(s) of Typeform click on “+ Add another” and then input the Form name, Assigned To, Lead Source and Industry within the pop-up, then click on “Save”.